There are many nostalgic sour belt candy vape flavors out there, that what’s a vaper supposed to do. Every time we experience one, it simply brings back the good ol’ days of eating an entire pack of them without a care in the world. Well, if you’re looking for a new belt candy to try that brings a bit of summer sweetness and sourness to it, then you’re going to enjoy hitting The Finest Nic Salt Series Strawmelon Sour Belts. The throat hits will be light and smooth thanks to its balanced VG/PG blend. 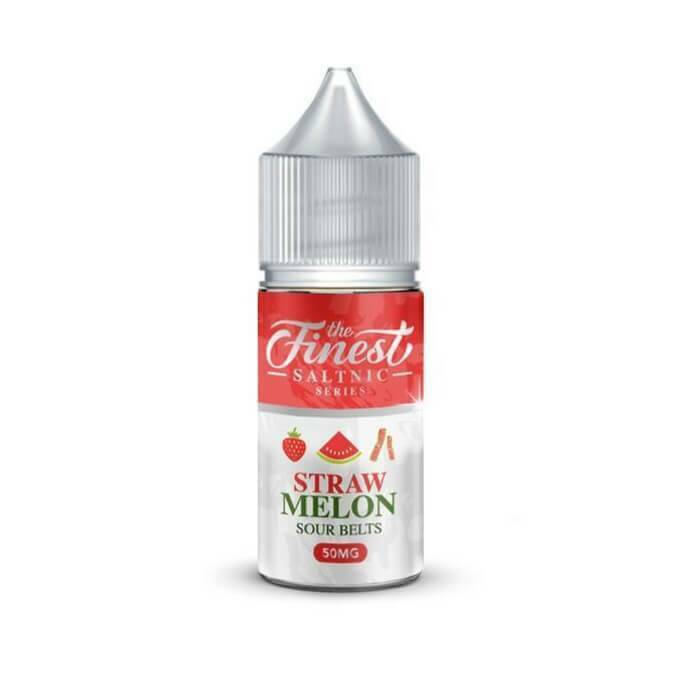 This reimagined childhood nicotine salt candy e-liquid flavor is just ready to be vaped.